After my Divergent bender, I needed something a little fluffy to read after to cure my book hangover. Cue Dessen. I’ve read a few of her books back in high school, and have started a small collection at my house for just this reason. Whenever you are in a reading slump, reaching for a cute book that isn’t too long or too overly complicated (really, anything short and fluffy) is the best fix. 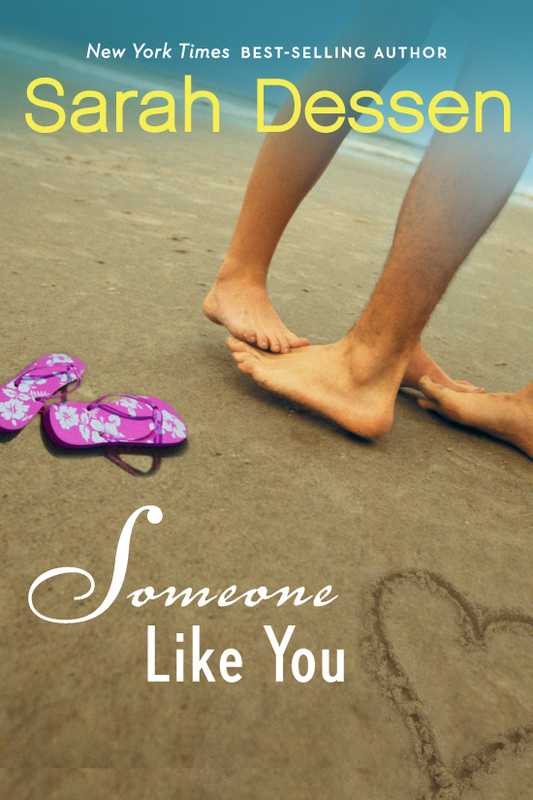 Sarah Dessen is my go-to for such an occation, so I pulled Someone Like You off my shelf. The story is about Halley and Scarlett, best friends and neighbors since they were little girls. They know everything about each other, and balance each other out. Where Halley is the quiet, shy, thoughtful type, Scarlett is the strong, loud, take charge type. During the summer of their Sophomore year of high school, the two pick up cashier jobs at the local grocery, tan by the pool, and start mixing with the in crowd, meeting up with boys and sneaking around. Halley and her mother, a therapist who is slightly overbearing, start to feel tension between them as Halley starts to conceal more of her private and social life, and her mother tries to control Halley’s behavior. Meanwhile, Scarlett and a boy named Michael Sherwood start dating, and just as Halley is trying to handle the new dynamic with Scarlett, her mother sends her off (unwillingly) to a summer camp. A week before the end of summer, Halley gets a late night call from Scarlett- Michael died in an accident. Halley immediately figures out how to get home to support Scarlett in her time of need. After all, Scarlett has always supported Halley, and that’s what best friends are for. But as the start of the school year rolls around, Halley learns Scarlett is going to need more than consoling, and it’s Halley’s turn to take charge. It’s a quick read at 281 pages, and though it’s a little young and predictable, it’s the perfect reset read- the kind where you don’t have to think too hard and know there is going to be a happy ending. It may be a tad boring, but this was a much needed read for me.